So you’ve just signed up for HostGator, Perhaps using our incredible HostGator 1 cent coupon, and you wanted to know how to setup SSH access. The first thing you need to know is that HostGator offers SSH (encrypted/secure shell) access on all Linux hosting plans except Optimized WordPress. The shared hosting packages also include jailed SSH, which basicaly means it’s limited to your account only. 1. Login in to your cPanel account. 2. From the left navigation bar, click on Account Functions. 4. Select the particular account followed by the type of SSH access you want. You can choose between normal access or jailed access. In some accounts, you’ll only find the latter. You can also find under the package tabs for your account. See our follow-up post on how to connect using SSH. 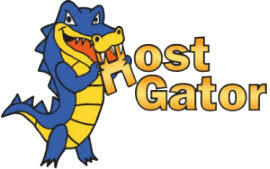 HostGator cheapest plan is the Hatchling Plan, which can usually be purchased for $3.95 or less per month. The Hatchling Plan only allows you to host one domain in your account. However, it comes with one click installation of the most popular software and apps like WordPress, Joomla, Drupal, Magneto, wiki, phpBB and unlimited space and bandwidth. That means there’s no hard cap on how much data your site can store or serve and it won’t incurr overage charges. That’s as long as you’re only storing and serving files essential to your website, as per their terms of service. But don’t worry, if there’s any concerns about either of these unlimited aspects, HostGator support will send you an email warning you to reduce the usage and your files won’t simply disappear. The plan also comes with their friendly cPanel and supports unlimited email addresses as well as a 99.9% uptime guarantee. If you want to sign up, remember, you can grab your first HostGator month for 1 cent. Does HostGator Allow Adult Content? If you’ve been thinking of signing up for hosting but serve adult content on your website, you must be wondering if HostGator allows adult content. We personally reached out and have confirmed that HostGator allows hosting adult content in your account. The usual exceptions apply such as you still cannot host copyrighted material, like adult movie clips, full movies, or photos from major publishers, magazines or paid websites. Of course, this applies to all accounts but you want to take special note of it if you’re hosting adult content since there are very few producers of original content and HostGator does not allow you to infringe intellectual property rights.